A man stands in a closed down military camp and sends a drone ut into a dark forest. He is filming. The time is 09.35, Friday, 16th June, 17 degrees celsius, just before sundown. The tops of the pine trees seem to be in flames as the last rays of sunlight create a sharp dividing line of brilliant orange and dark green. The drone approaches the open area of a rapeseed field. A tent suddenly appears on the drone’s monitor. The tent stands exactly where Evie Thorn was stabbed to death five years earlier. And now another woman comes into view. Did she really pitched her tent on the exact same spot? The sun sinks down creating a wide segmented line on the horizon, and disappears. The birds stop twittering. The mans’s heart pounds like a hammer against his chest. He has never had a girlfriend. Women should not be out camping alone, not in the dark forest. 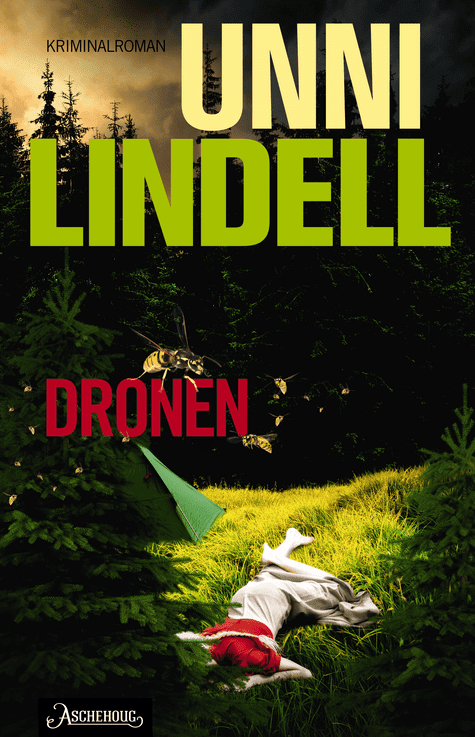 The Drone is the second novel in the stand alone-series featuring Marian Dahle.